Self Service Buffet: Served in disposable aluminum pans and trays; perfect for leftovers and easy clean up. You can either pick up your order at our restaurant or have it delivered. Full Service Buffet: Our catering team will set-up, serve your guests and replenish your buffet and keep it tidy during your event. Afterwards, they will clean up everything. We recommend you check out our reviews. If you and/or your committee have never sampled our food, we look forward to providing a tasting. It costs nothing to ask. 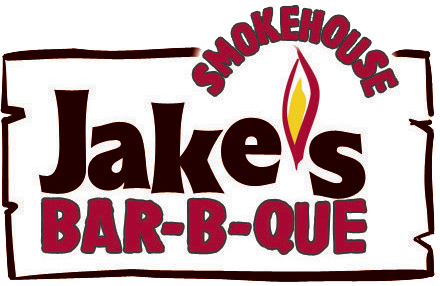 Just call Jake's Smokehouse Bar-B-Que at (757)721-7850 to set up a time convenient to you. One taste and you'll know we'll do a great job for you! For Drop off/Pick up Catering, we ask for 24 hours notice. However, please feel free to call us at (757)721-7850 for last minute orders. We'll move heaven and earth to take care of you. For Full Service Catering, we recommend you book as far in advance as possible, to ensure your date is reserved on our calendar. Feel free to call us for short notice events. If we have an opening, we are more than happy to work for you. Yes. We currently offer delivery to the Hampton Roads area. Delivery charges are based on distance from the restaurant and size of the order. Please call (757)721-7850 for specifics. For all self-service catering orders, we require at least a twelve hour notice. For all full service orders, we require 48 hours, as we have scheduled staff and blocked off our catering calendar.